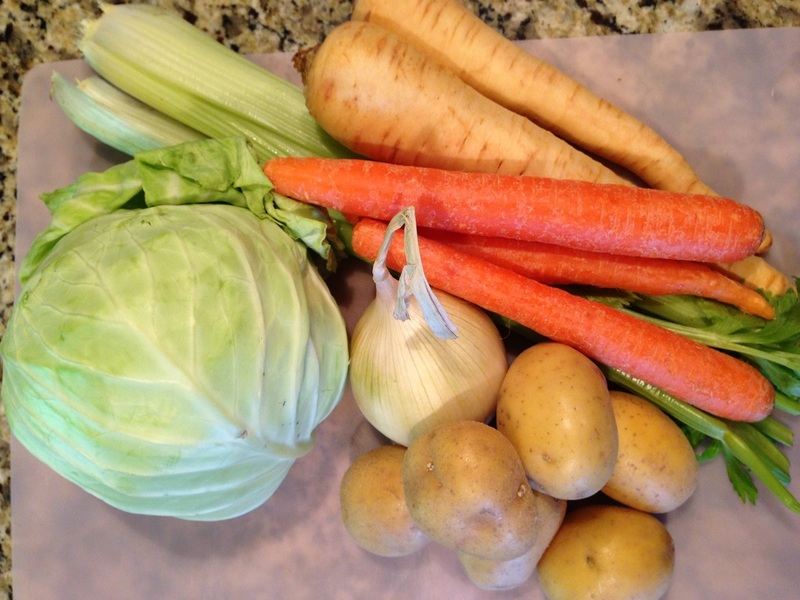 You could use this recipe for your left over corned beef or you could decide to make a corned beef brisket specially to make soup. 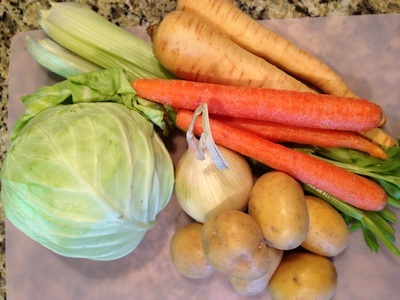 Either way you will be making a vegetable soup with a beef broth and corned beef added in. 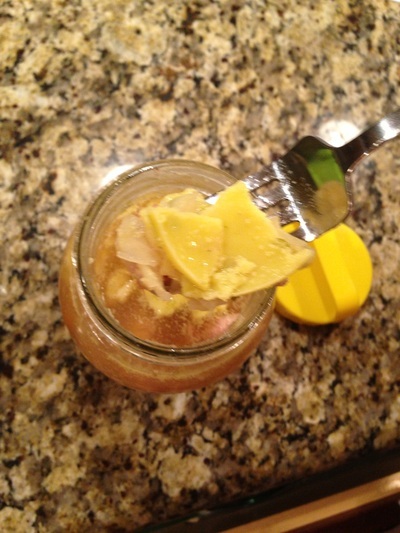 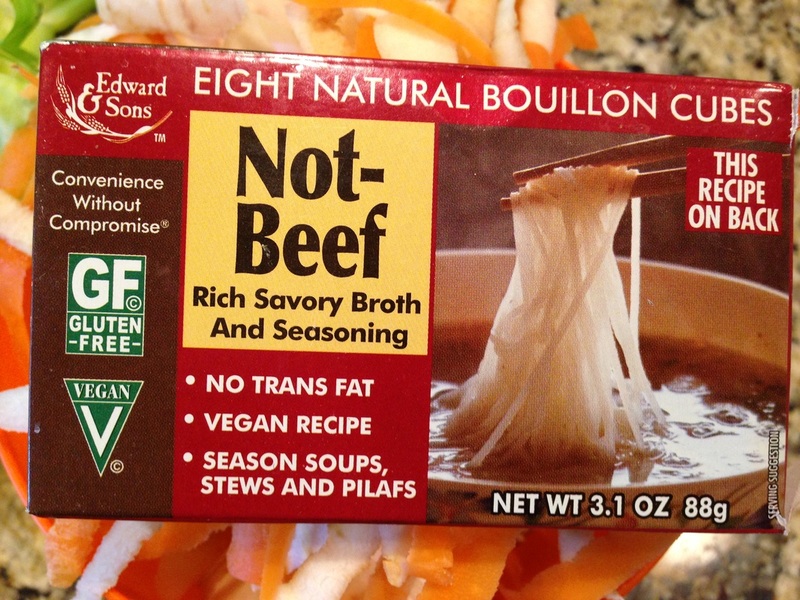 I did not want to use the broth from the cooking of the corn beef beef because I wanted to take out some of the fat. So make your corned beef separately or use your left overs and lets make soup! 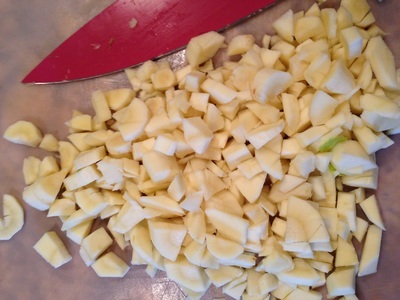 I have included chopped potatoes and chopped parsnips. 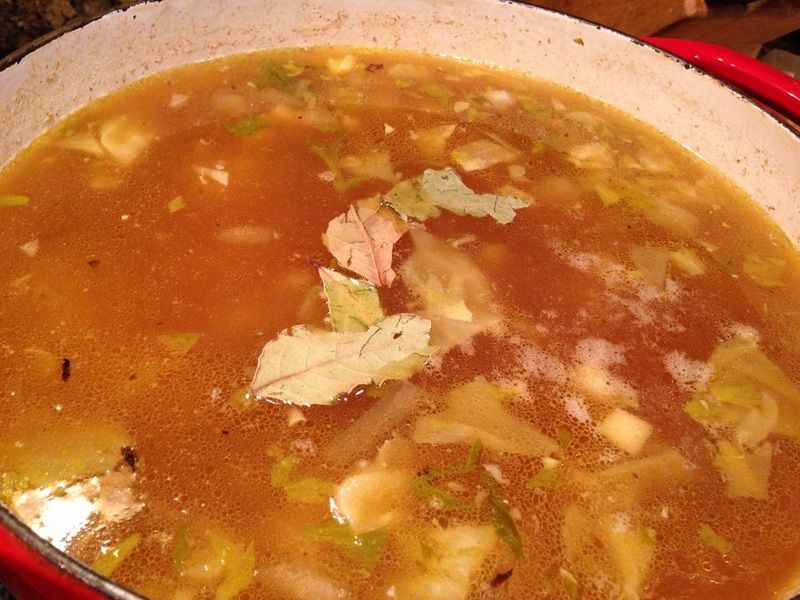 You could make this soup with one or the other if you like one better then the other. 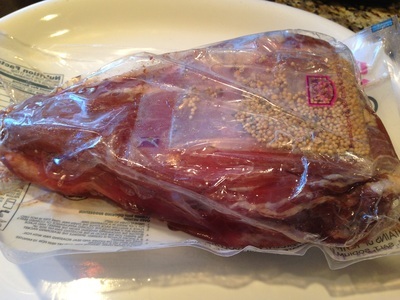 Most packages of corned beef have a flavor packet with it but you can make yours homemade if you like. I cook my corned beef in a slow cooker but you could also bake it with the fat side up covered with water and spices and cooked covered for 3-4 hours on low. 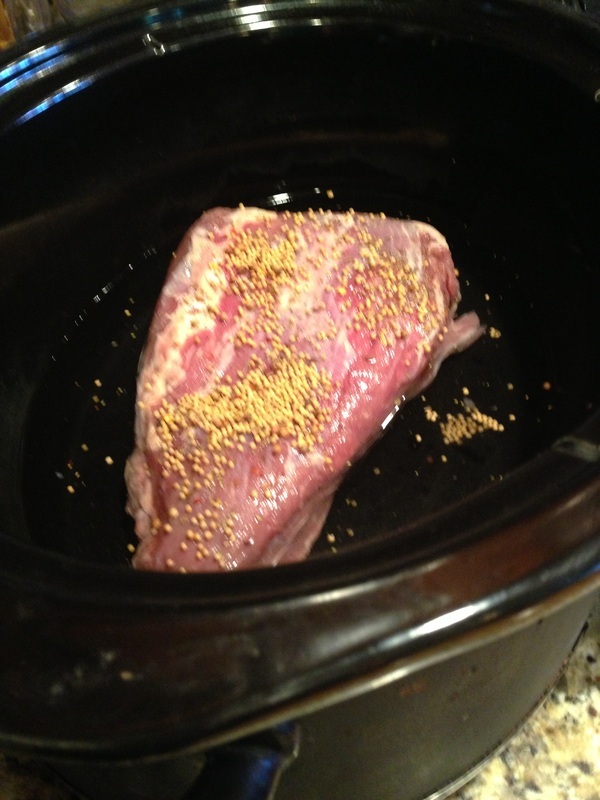 If using a slow cooker place in your crock-pot covered in water and spices on high for 6 hours or low for 9-10 hours. It's great to use the slow cooker and leave it on a workday. 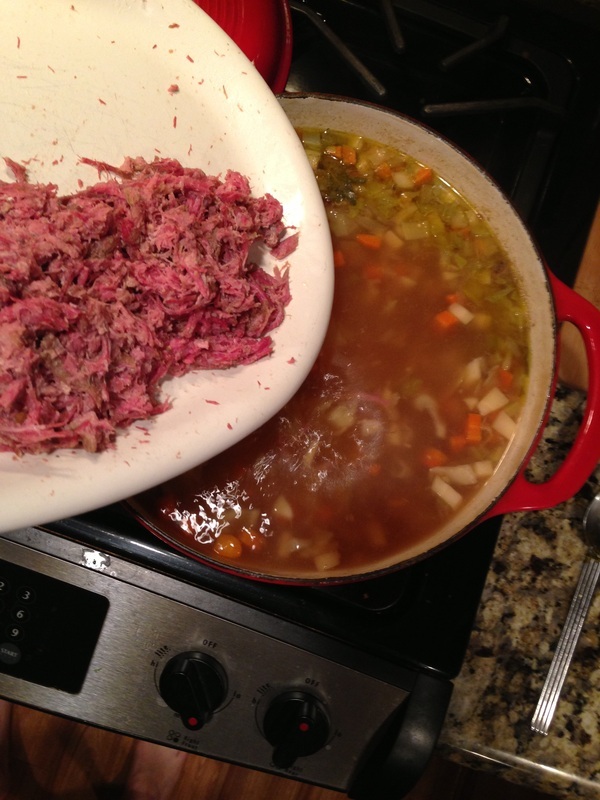 Cook your corned beef as mentioned above or set your left over corn beef aside discarding cooking liquids, I discarded the broth and was able to keep the spices from the bottom which I added in to the soup. Discard all visible fat and chop. 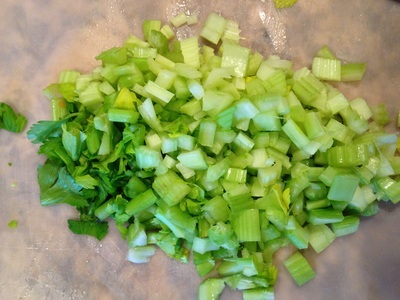 This will be added in as the last step in the soup. 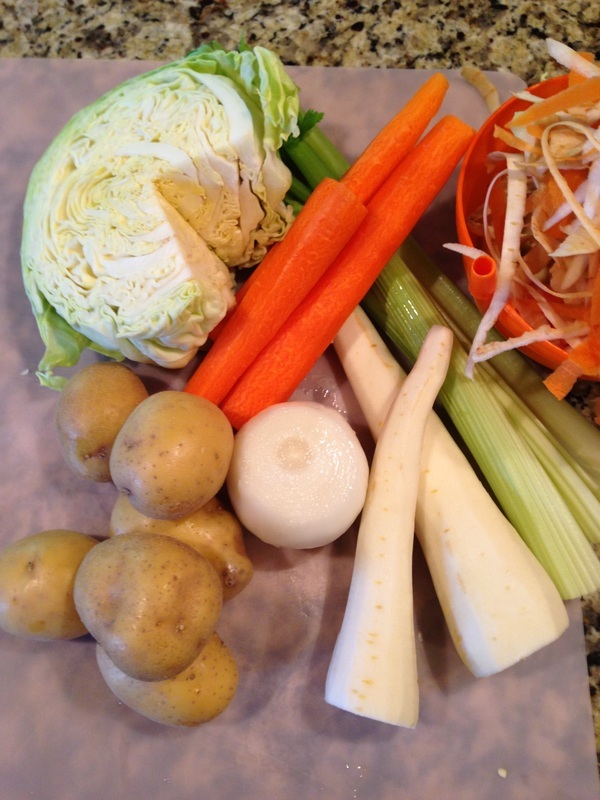 In a large soup pot add as each item is chopped in this order: onion, celery, parsnip, carrots and potatoes. 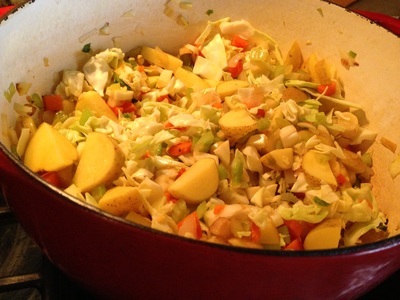 Each time you add a new item stir the vegetable mix. This process will take about 10 minutes. 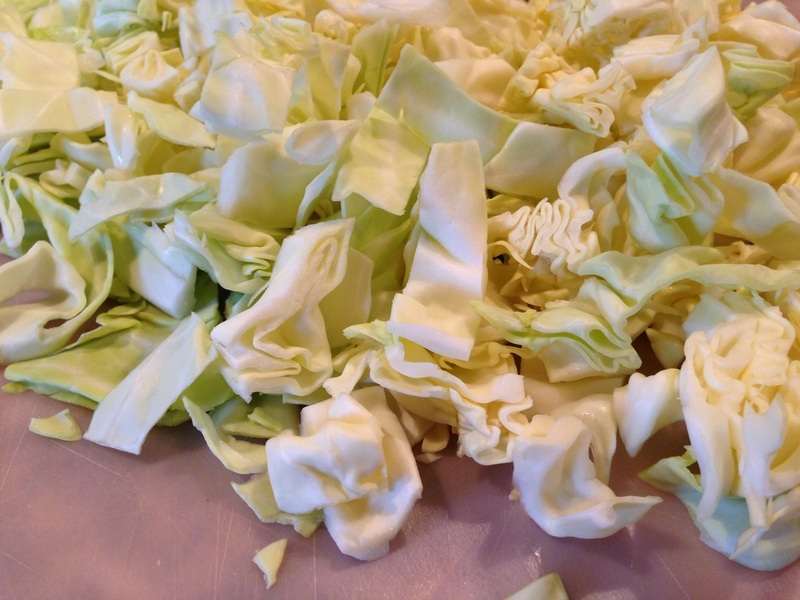 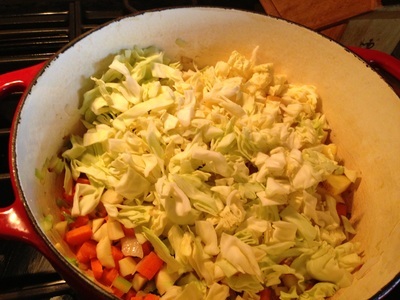 Add beef broth, bay leaf and cabbage. 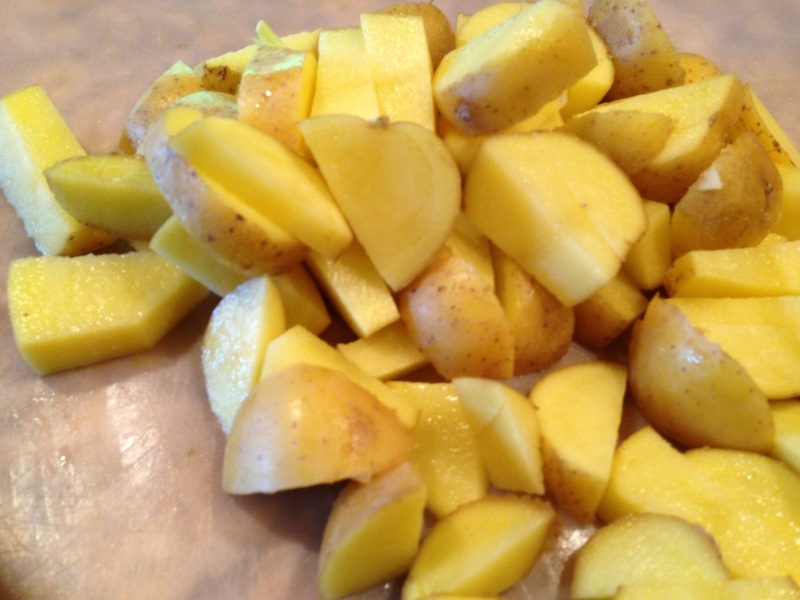 Cook until potatoes are fork tender about 20 minutes. 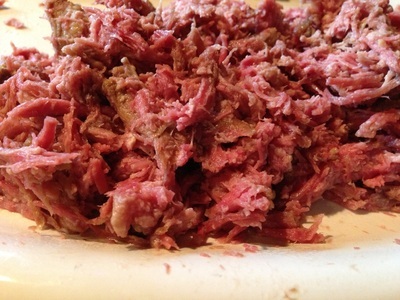 Add corn beef in and stir cooking for 5 minutes. Serve hot and enjoy! 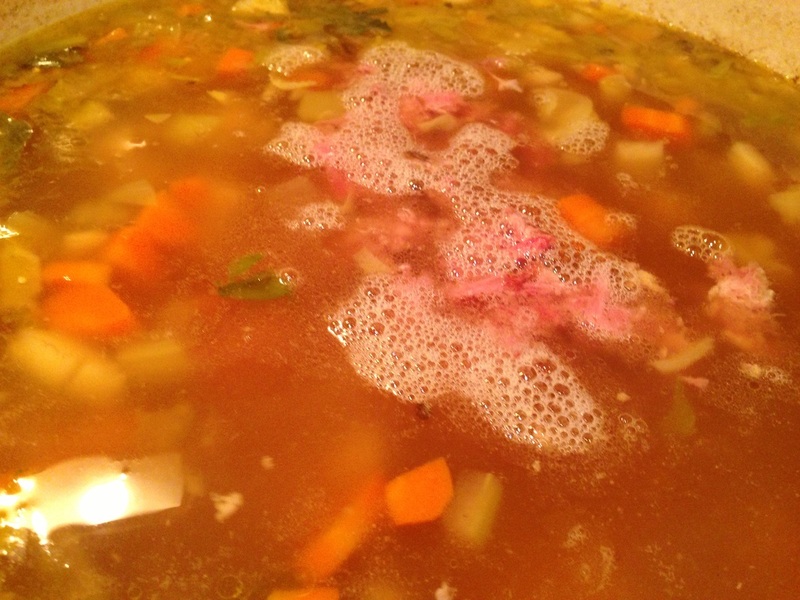 If you want to remove more fat from this soup, you can put in the frig and let cool, once cooled skim off the fat layer on the top, easy- breezy. 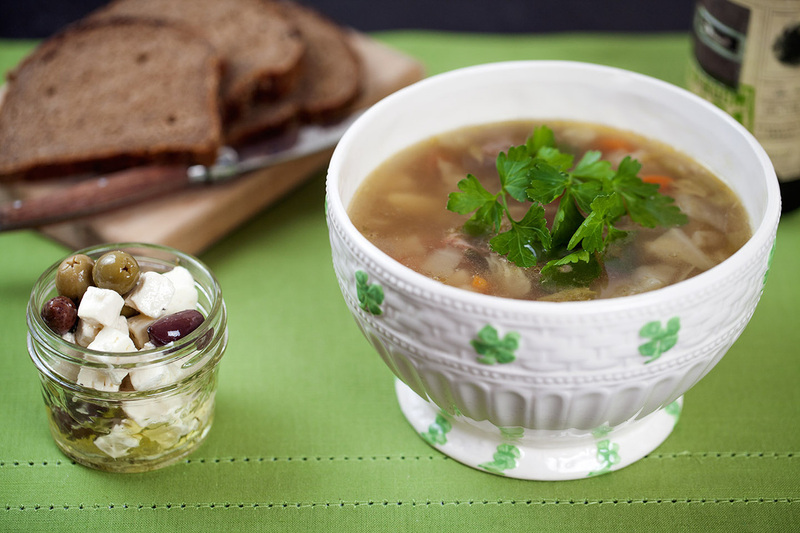 Happy St. Paddy's day and I hope you like this new way to enjoy this dish, so perfect for left over brisket!